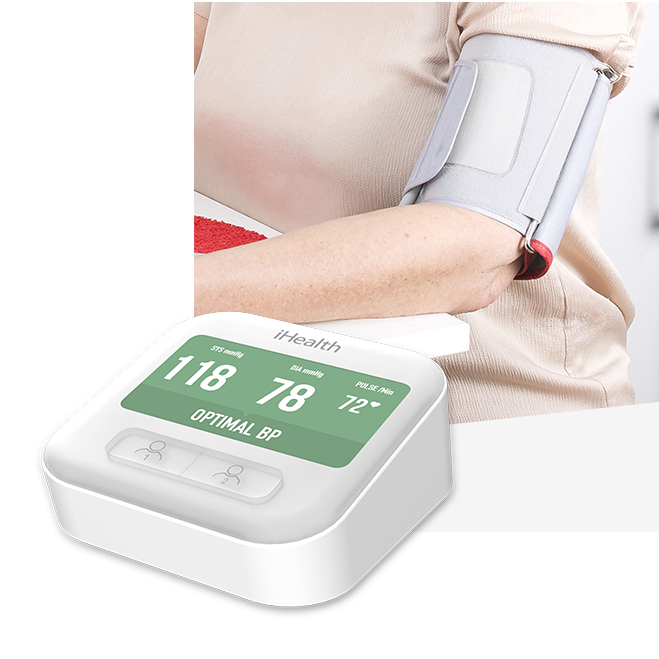 The iHealth Clear arm blood pressure monitor measures blood pressure and pulse rate. It has been designed to be used by two people thanks to the two buttons on the housing which begin the measurement. The WiFi connection lets the blood pressure monitor connect automatically to the secure iHealth Cloud and the user can consult their measurements at any time on the iHealth MyVitals application. iHealth Clear is a medical device*. 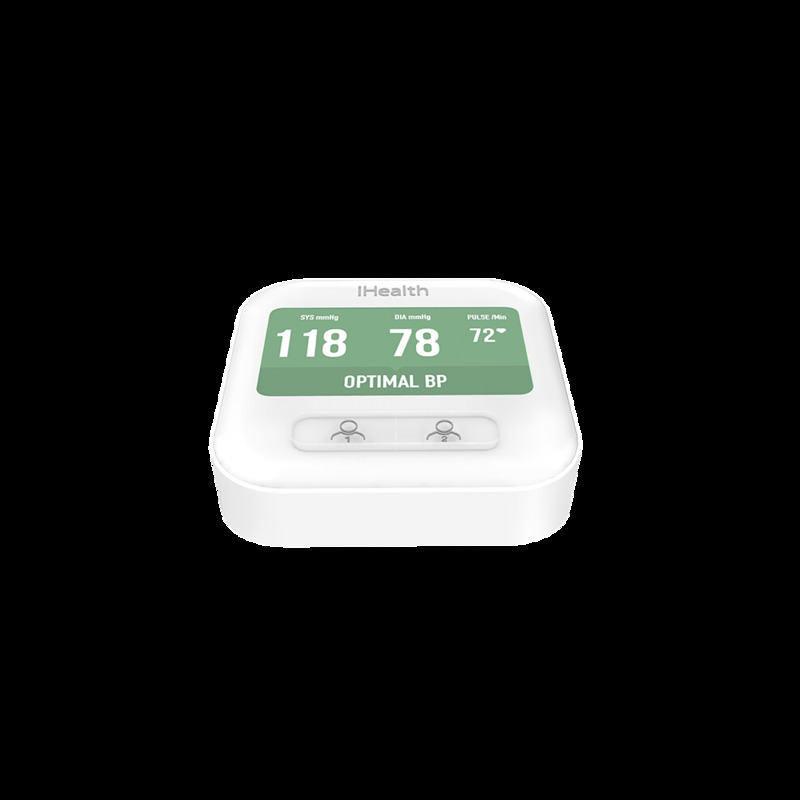 The iHealth Clear blood pressure monitor measures blood pressure and pulse, and detects arrhythmias (irregular heartbeats). Press one of the two buttons on the housing to begin measurement and view the results directly on the HD screen which changes colour depending on your results. Compare your latest measurement; green, yellow or red colour coding lets you see where you are in relation to the World Health Organisation’s (WHO) recommendations. 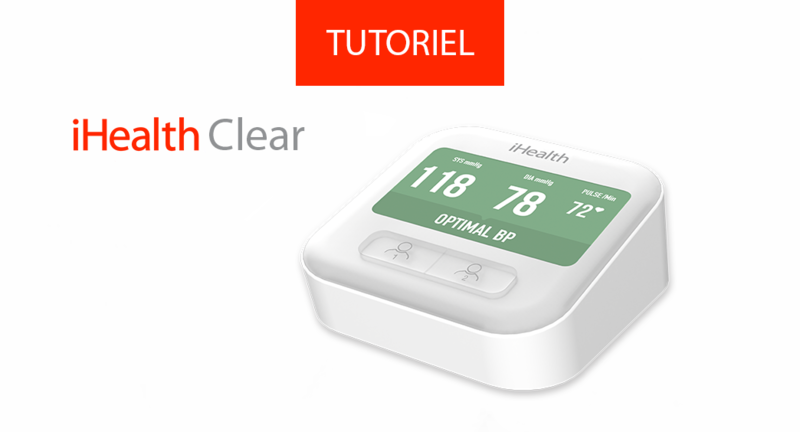 iHealth Clear is the first WiFi blood pressure monitor in our line. 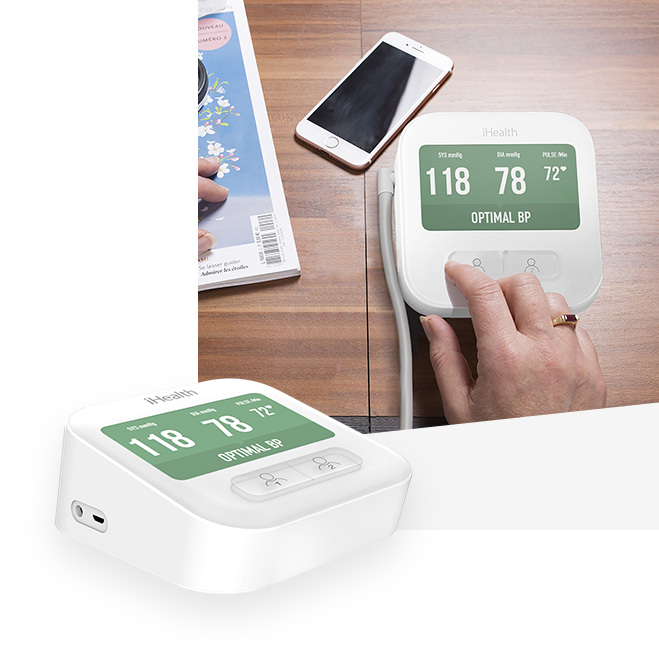 WiFi technology lets you first connect your blood pressure monitor to your mobile device, then automatically receive all future measurements on your iHealth MyVitals app via the secure iHealth Cloud. 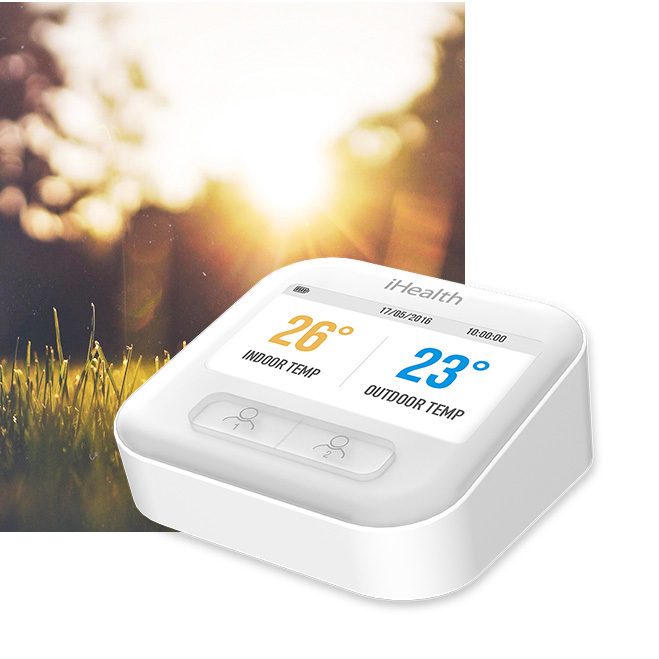 The iHealth Clear connected blood pressure monitor becomes a weather station when the cuff is disconnected. It displays the temperature of the room as well as the outside temperature on its screen by simply pushing the buttons on the housing. Many factors influence blood pressure, and changes in temperature is one of them. In summer and winter, your blood pressure can change. iHealth Clear can warn of these changes and help to better understand the differences in results by consulting your data history in the app. In the box: 1 iHealth BP Clear blood pressure monitor, 1 cuff (22-42cm), 1 user manual, 1 charging cable.